I love desserts.It's one of my weaknesses..as one shouldn't eat too much sugar.But oh well..it's not like I frequent these places every day/week.haha. 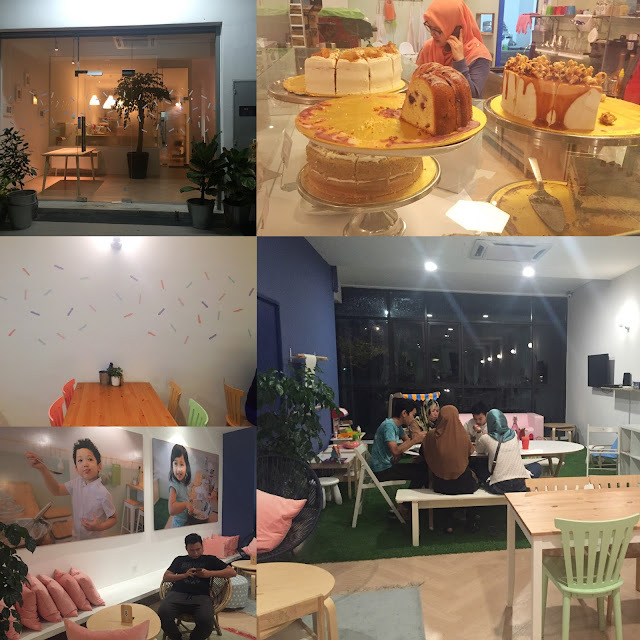 So I thought that I'd share some pictures and a little bit of a review from the desserts that I ate at both Gula Cakery(Kota Kemuning) and Jaslyn Cakes(Bangsar). 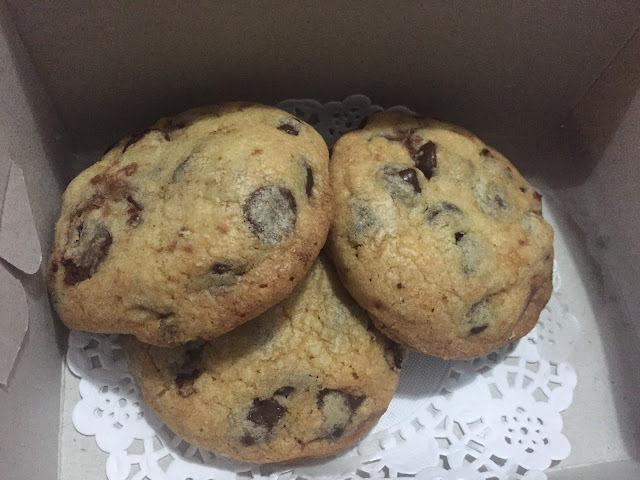 I found out about this place from my friend Shakira..who like me,loves to bake and also eat desserts!I trust her judgment on this.So I went with my husband one night to buy some cakes and try them with our family. I love how beautiful the place look and that the ground floor is the kitchen(which you can see) and they do baking classes there,while the top floor is the cafe.It's very cozy and I love that the walls have sprinkles painting on them. They serve food as well and I read on their instagram account that the food are recipes from the mum of the baker.I bought three different cakes and also some of their nutella stuffed choc chip cookies.The cakes that I bought was their chunky peanut butter cake,pistachio raspberry cake and praline cheesecake. The cakes were all soooo good.Every single one that I bought,I love.My husband loves them as well.I shared it with my in laws and they love it too.The cookies were huge and chocolaty.You can't really taste the nutella but they were good nonetheless. The chunky peanut butter cake was so peanut buttery and the choc sponge was so moist.I love it!My sister in law Qeema even said that they peanut butter frosting tasted like they made the peanut butter themselves. 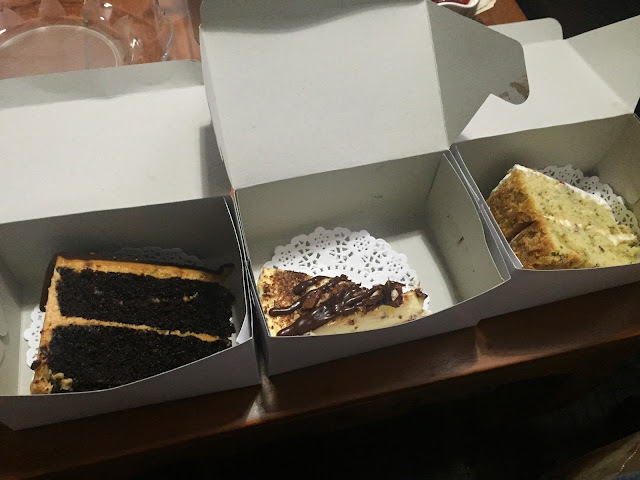 As I ate all of them a few weeks back,I can't remember about the two other cakes other than it was really good.I would definitely come back and taste their other cakes. 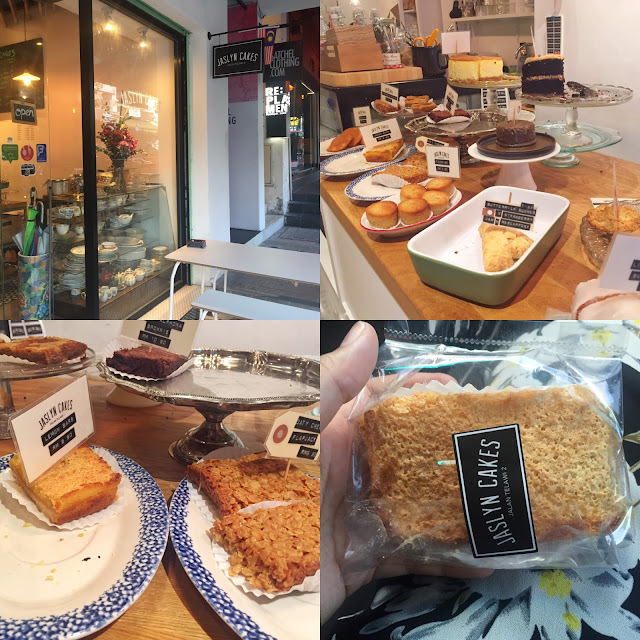 I've heard a lot about Jasyln Cakes and wanted to know what's the hype was all about.And to be honest..I was a little bit disappointed.I went there on a weekday because I had to attend a work event in Bangsar.And yes,I managed to find a parking! Anyway,my first impression when I walked in front of Jaslyn Cakes was that..it looks pretty and quaint.When I entered the place,it was tiny!I was disappointed with the array of desserts as it was..nothing special. They serve basic desserts like red velvet cake,madeleines,scones,and brownies.I'm sure they tasted great BUT..it was nothing exciting..not like the array of desserts at Gula Cakery.However,since I was already there and was hungry...I bought a slice of their lemon bars. For rm8.90,it was huge!And it was really good.It took me half a day to be able to finish the entire thing.I'll give kudos to Jaslyn Cakes for being able to bake a really really good lemon bar.It had a butter base,a very tart filling(which was clearly made from real lemons--not flavourings etc) that wasn't too sweet. If I were to go back there,I would still take away my dessert as the place was tiny.I would like to taste their vanilla bean cheesecake which they are known for.But to go all the way to Bangsar from Shah Alam and to find a bloody parking there(which is hard! )..I don't know if i'd go all the way there for their dessert.